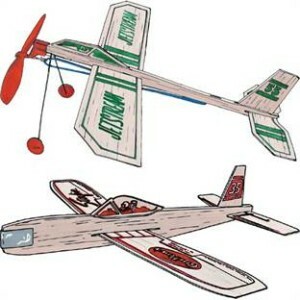 When I was asked two years ago if I would consider leading a summer science camp for my church, my head was filled with a vision: I wanted to fill the sanctuary with flying, diving balsa wood planes. That was just one of the activities we did last week during Science Camp. We also made slime, went to the park to collect bugs, made ice cream in a baggie, had a paper airplane building session, made towers out of fettuccini, and launched balloon rockets.I do not know who had more fun- the kids or my co-leaders Kim, Brad and me. Because I am a person of science and a person of faith, I love having science camp in church. 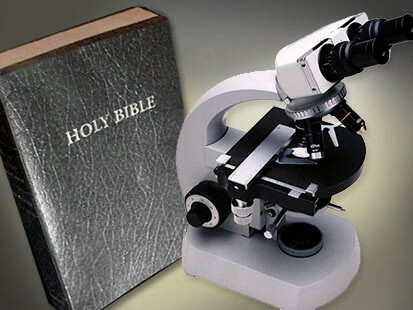 I find it very hard to stomach the stereotype that science and religion are somehow constantly locked in battle. For me, they are not. The origin of my own faith, the dawning realization that there must be a higher power, occurred in a graduate level vertebrate physiology class. Looking at a complex mechanism of water transfer in the kidneys, I was struck by the body’s method of balancing all the components. The mechanism was elegant.It was clever. It was…. engineered. I remember literally gasping aloud in the lecture hall, reeling at the thought.For if it was engineered, that meant that there must be an Engineer. A Creator. Hebrews 11:3 says “By faith we understand that the universe was formed at God’s command, so that what is seen was not made out of what was visible.” That was my fledgling faith- understanding that what was seen was not made out of what was visible. I never saw science the same way again. Years later, after meeting Jesus, I never saw anything the same way again. Back to science camp. When I talked to kids about science, my message was simple. God created our world. A scientist is just someone who tried to figure out how it works, using the clever mind that God gave him in the first place. On the day we made the balsa wood planes, we talked about flight. We discussed drag and thrust and lift and gravity. And here’s the thing. Gravity says that flight is not possible. Gravity says that things fall down, not up. But man is so clever, figuring out how to overcome the bonds of earth through engineering. Man has used what he has learned about God’s world to make it behave as he willed it. And where did he find the inspiration to try it at all? And God said, “Let the water teem with living creatures, and let birds fly above the earth across the vault of the sky.” So God created the great creatures of the sea and every living thing with which the water teems and that moves about in it, according to their kinds, and every winged bird according to its kind. And God saw that it was good. God was right; it was good. God’s creation was so good that it was inspirational.It inspired man to follow the birds up into the air, a phenomenon that now so commonplace that it is no longer remarkable. But for one day, for a church full of kids, in a sanctuary filled with zooming, soaring, crashing planes, we tried to recapture the beauty- the cleverness- of flight. We tried to see flight for the original miracle that it was- “birds fly above the earth across the vault of the sky”. And it was good.